Vintage style is mixed with modern alternatives in this new necklace tutorial. 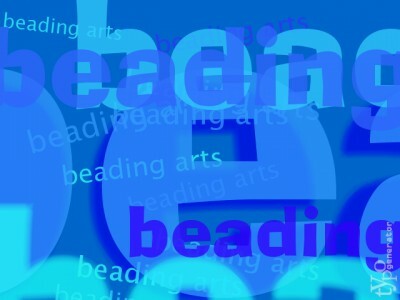 The Art Bead Scene offers up a few business tips. Barbe reviews Jen Cushman's "Explore Create Resinate" Book. Carmi has some eye candy featuring scarves and a big bauble. The week, Cindy's tangled up in a re-do of her studio. Carmi turns a feathered butterfly in a pendant with resin. In this A to Z blogging challenge entry, Jean is surprised by "W" for a Wonderful thing which happens to her! Andrew gives a heads up about a great giveaway from Lark Jewelry & Beading! Do you know "the bead" when you see it? Lisa came across one of those in a craft-store mix recently and couldn't walk away! Thank you for sharing such wonderful blogs! Have a wonderful day!